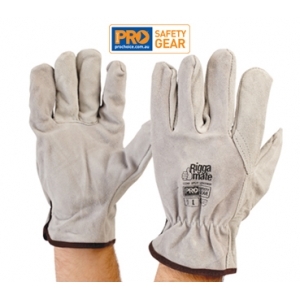 Grey suede look cow split leather rigger glove. Tough and durable. Colour coded cuff for easy size identification.